Hi everyone! 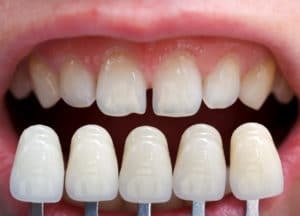 Today I want to discuss a little about cosmetic dentistry. It is one of the most common reasons why patients visit Los Algodones every year. With the correct cosmetic treatment you can get the smile of your dreams. One of the most popular treatments is the dental crown or cap. You could say it is the king of cosmetic dentistry. One of the decisions patients have to make when deciding for dental crowns is what kind of type is best for them. Some dentists suggest that porcelain is better but it will always depend on the case. For some patients it is better to opt for zirconia crowns and today I want to inform better about why. 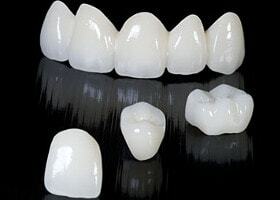 We understand zirconia or zircon as a metal member of the titanium family. It is widely mined all around the world. You can find zirconia in dinnerware and electrical items among other products in the market. Zirconia is well known for its durability, making it an ideal product to use when making dental crowns. Especially for posterior teeth that require a lot of strength for chewing and grinding food. Zirconia became really popular for dental purposes because it started to be supplied to dental clinics in the form of a block. Then it is milled by a computerized cutting machine into the shape of a patient’s tooth. After the crown is fitted, it is cemented in the mouth using a special resin. Since the whole process can be accomplished in one dental appointment, it is not a surprise that they gained popularity and used by many dentists. Now patients can have a crown shaped and cemented in much less time than the traditional porcelain crown, which may take days make because they need time in the oven. What are the pros and cons of zirconia crowns? Many dental offices may charge more for a zirconia crown than porcelain crowns. It is understandable because the quality is a lot better. But in return, patient can get their dental crowns done and installed in one day. For porcelain crowns patient has to wait 3 days minimum to get their treatment done. How to take care of your zirconia crowns? To take good care of your zirconia crows, brushing and flossing regularly can do the trick just fine. Using mouthwash can help a ton too, that way you remove bacteria from teeth, tongue, ch eeks and gum. Do it twice a day and your crown will look really nice. Remember to be gentle when brushing as you can end up harming yourself and your crowns. Even if they are really strong it does not mean that they can take everything you throw at them. A little tip is that you can find ADA seal of approval dental items at los Algodones pharmacies with discounted prices. Zirconia crowns can be an excellent choice for many patients that need a crown treatment. Having a great oral care habit can help you ensure years of happiness, satisfaction and dental health. For excellent prices in zirconia crowns, consult our price list to know more about them or send us an email or give us a call to book an appointment with us.